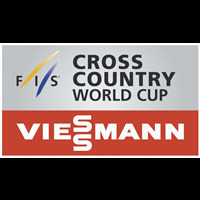 15th race of World Cup. 4th Slalom race. Start at 14:45 and 18:00 +1 UTC. 2. Julien Lizeroux FRA 58.18s 0.05 1979 8 9. 4. Marcel Hirscher AUT 58.51s 0.38 1989 6 6. 5. Manfred Moelgg ITA 58.52s 0.39 1982 4 1. 6. Daniel Yule SUI 58.54s 0.41 1993 11 4. 6. Henrik Kristoffersen NOR 58.54s 0.41 1994 7 3. 8. Felix Neureuther GER 58.65s 0.52 1984 5 2. 9. Michael Matt AUT 58.80s 0.67 1993 9 5. 12.Luca Aerni SUI 58.91s 0.78 1993 23 8. 13.David Chodounsky USA 59.00s 0.87 1984 20 16. 14.Naoki Yuasa JPN 59.02s 0.89 1983 29 18. 16.Dave Ryding GBR 59.05s 0.92 1986 19 7. 17.Donghyun Jung KOR 59.12s 0.99 1988 37 14. 17.Adam Zampa SVK 59.12s 0.99 1990 33 22. 21.Erik Read CAN 59.28s 1.15 1991 34 13. 23.Marc Rochat SUI 59.37s 1.24 1992 49 20. 23.Sebastian Fosssolevaag NOR 59.39s 1.26 1991 17 11. 24.Stefano Gross ITA 59.41s 1.28 1986 2 10. 25.Andre Myhrer SWE 59.43s 1.30 1983 3 12. 26.Linus Strasser GER 59.48s 1.35 1992 44 21. 27.Jonathan Nordbotten NOR 59.55s 1.42 1989 24 15. 29.Sebastian Holzmann GER 59.60s 1.47 1993 54 19. 30.Riccardo Tonetti ITA 59.67s 1.54 1989 39 17.